Click on the image to request the digital document. 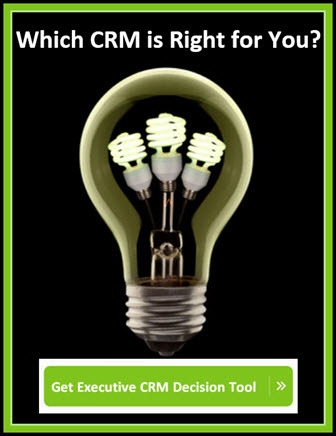 Learn how to navigate your options so you don't get burned by a bad CRM implementation. Ready to get started? Click here to download. Learn how to avoid the three most expensive mistakes from the wrong CRM decision. 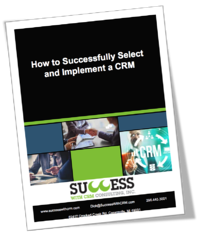 Julie and I noticed that many of the features of mid-level and enterprise CRM solutions such as Infor CRM (formally Saleslogix) are more geared to ongoing service than for sales. 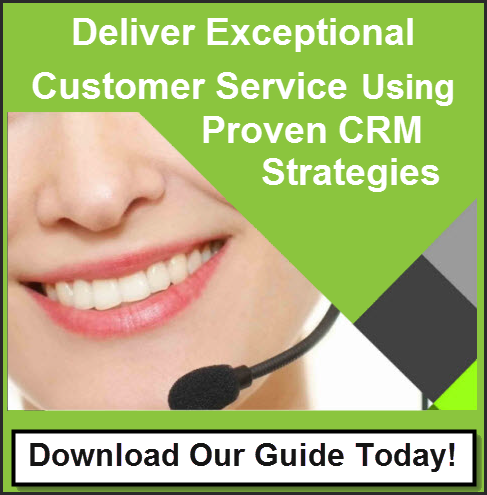 We wrote this guide for CRM strategies utilizing Infor CRM for operations managers and COOs that want and need better ways to manage their customers wants and needs. If you or someone you work with manages a support operation of 10 employees or more, I suspect they will get a few useful insights from this E-book. Please do them a favor and forward this page to them. Their entire department will appreciate it. "Customer relationship management" can sound intimidating to small and medium-sized businesses. A few spreadsheets and rules of thumb will do fine for a start up business with only a few customers. But what happens when a business starts to boom? Here is what is covered. Go live with CRM - and not look back. 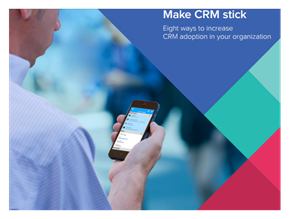 Will Users Adopt a CRM Solution We Choose? Download this "Make Your Business Work Smarter" PDF with strategies and actions to make your business work smarter, especially in acquiring, developing and retaining, profitable clients and customers. - Remaining 'Top of Mind' and able to be found when the customer is ready. Organizations rarely go it alone when they implement a Customer Relationship Management (CRM) strategy and its supporting technology. 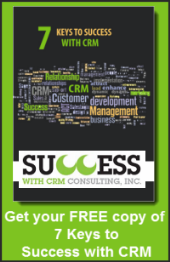 To obtain the success you deserve with CRM - consider the following 18 Requirements for Success with CRM. Search entire web site for resources.